Tradition is a beautiful thing, especially at Christmas time. We swap bouquets of flowers for bursting bundles of festive red poinsettias, potted and perfect for thrusting into the arms of our loved ones when we arrive home in time for December 25. We drink fizzy wine before noon, because everyone is jolly and a good drink bursting with bubbles just adds to the specialness of this time of year. We all eat like gannets, cheering plates of turkey to the table with applause, dousing puddings and dumplings in brandy and setting it all aflame like it’s the most natural thing in the world. Finding money in your dessert is considered good luck, as is scratching the initials of your beloved on a sprig of holly and placing it under your pillow on Christmas Eve. You make the effort to take yourself off to church even if it is only a once-yearly tradition and well up at the true meaning of Christmas during the final few minutes of every festive film on television. Ah, that most wonderful time of year, in all its tinselled, sweet smelling, snow laden glory. As much as I do love all the elements of a traditional Christmas, or at least my family’s version of it, I do like to switch it all up now and again. 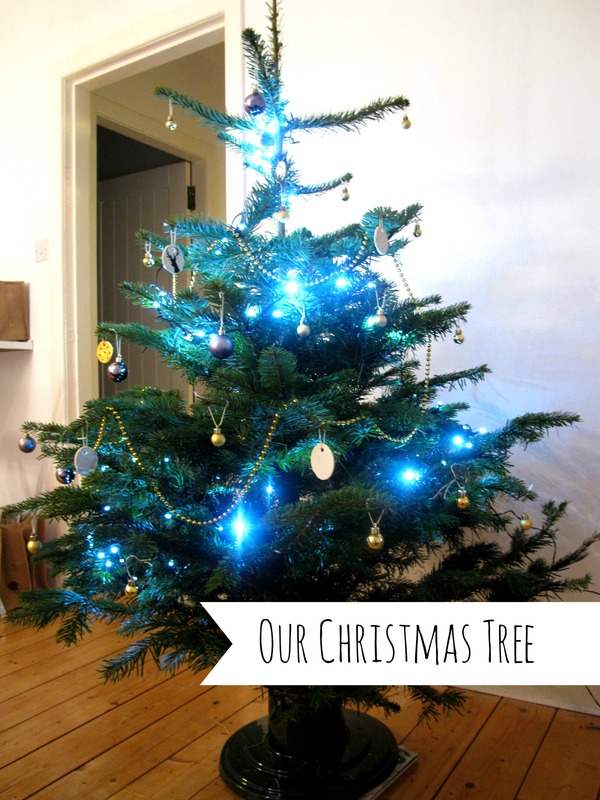 Putting up a Christmas tree isn’t a family occasion anymore now that me and my sister have moved, but getting my own tree with my flatmate felt like a wonderful compromise. Without decades of collected baubles, tinsel and decorations, it’s a sparse little thing but it makes me smile so much when I come in from the cold. Plus it’s the real deal, which you don’t get from my parent’s tree which gets fluffed up each year from colour coded bin bags. And similarly, my little home isn’t perfumed with treacle and sugar the way it is when my mam makes clootie dumpling, or that sticky crumbly smell from tray upon tray of mince pies. 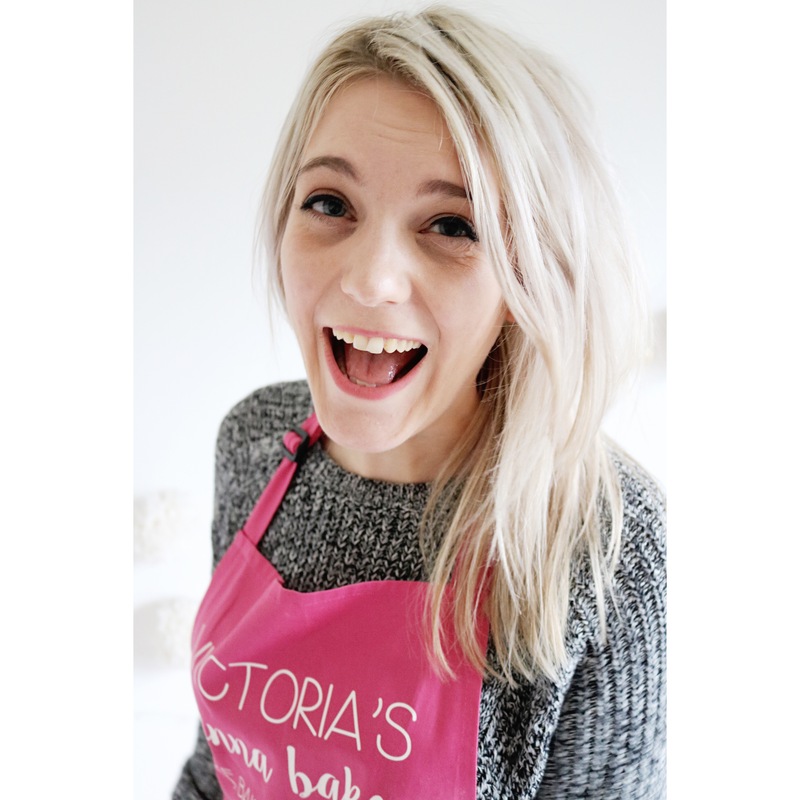 Recreating Christmas from scratch feels daunting but it’s also an opportunity for creativity, which is why I wanted to share my mince pie recipe – with a twist of course. My tipple of choice at the moment is bourbon; like whisky’s sweeter younger sister, its beautiful poured over ice with a squeeze of lemon, stirred into a comforting hot toddy or – as the barmen at The Tippling House will attest – in an Old Fashioned. I wanted to bring that sweetness to the classic mince pie, but with a busy job and Christmas shopping to complete, a full-blown homemade mincemeat was too much to tackle. But spiking a pre-made jar with apple, lemon and a good shot of bourbon? That’s my kind of baking. Putting your own stamp on mincemeat is a great way to save yourself time but more importantly, it gives you that all important chance to get creative and start your own traditions. The coarsely grated apple gives these mince pies extra bite while the lemon just lifts the flavour slightly. 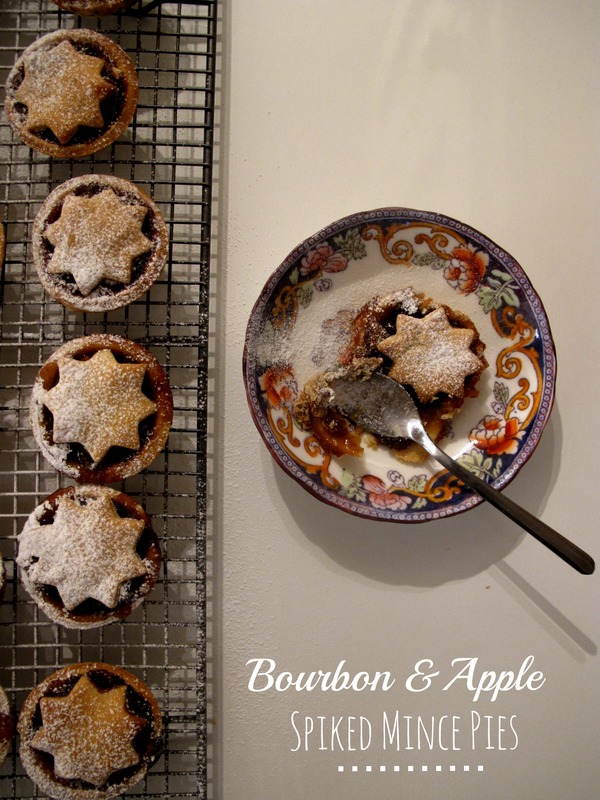 But that beautiful bourbon makes each bite sticky and unctuous – the filling seeping out the sides almost like caramel makes these crumbly mince pies hard to resist. 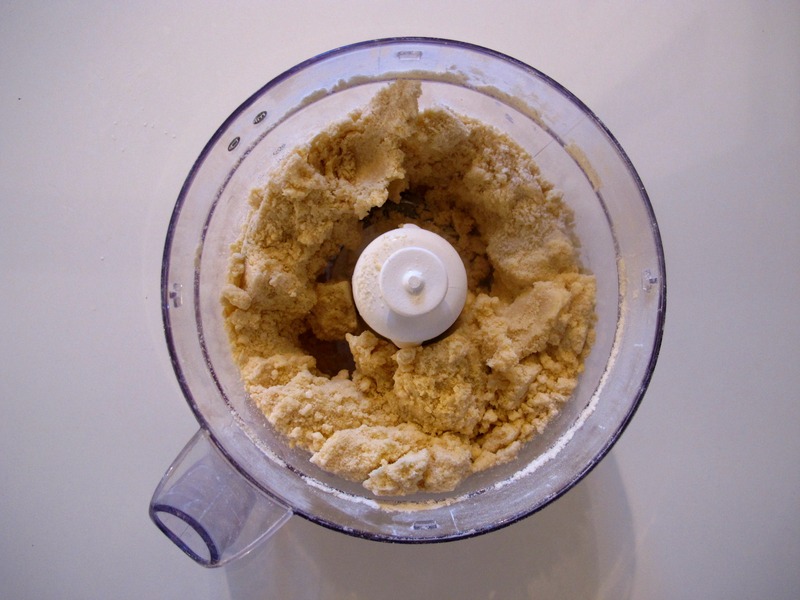 For extra time saving, whizz up the pastry in a food processor but it’s not a necessary step. What is necessary is that you make merry this time of year in the traditional way – your way. 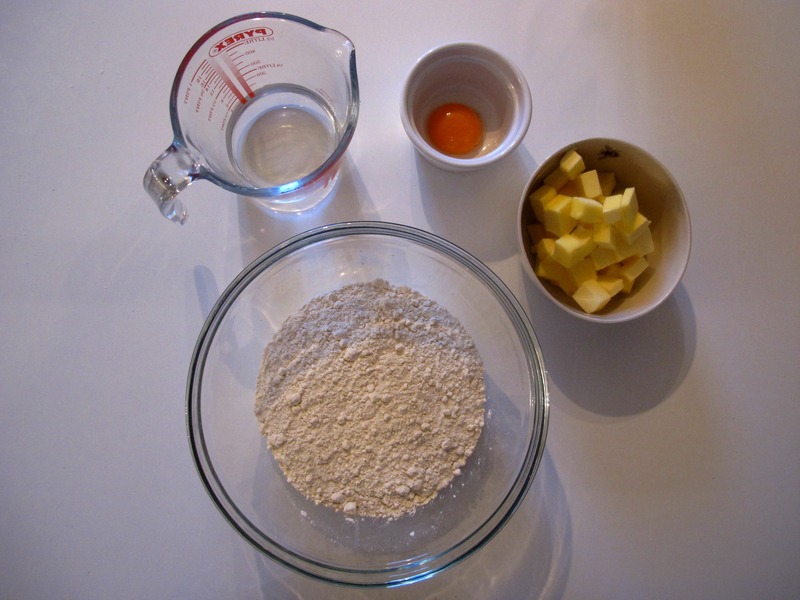 If using a food processor, place the butter and flour in the bowl and then pulse to a breadcrumb consistency. Add the egg yolk and pulse again before adding two tablespoons of the water and mixing again. If it looks too dry then add another until you have a smooth dough. If making by hand, rub the butter and flour between your fingers to the breadcrumb stage then whisk in the egg yolk and water and bring together to a smooth dough with your hands. Turn the pastry out onto a floured surface and knead briefly until it comes together then cut in half and reserve one half for the tops of the mince pies. Preheat the oven at this point – 200oc or 180oc for a fan oven. Also look out your tin – I used a fairy cake tin which is fairly shallow, but for deep filled pies use a muffin tin – although you will make a smaller amount of pies if you do this. 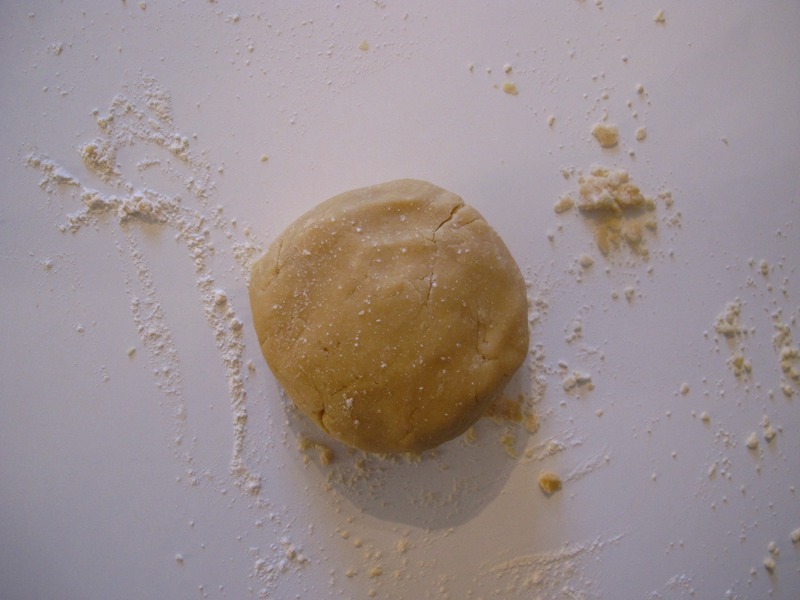 Dust a rolling pin with flour and roll out one half as thin as possible – I went for around the thickness of a 50p. This dough is quite mallable so you can get away with it easier. Cut 12 circles using a cutter slightly bigger than your tartlet holes, re-using the scraps as you go. Press each circle into the tartlet holes, prick with a fork then place the tray in the fridge to avoid the pastry shrinking while you prepare the filling. 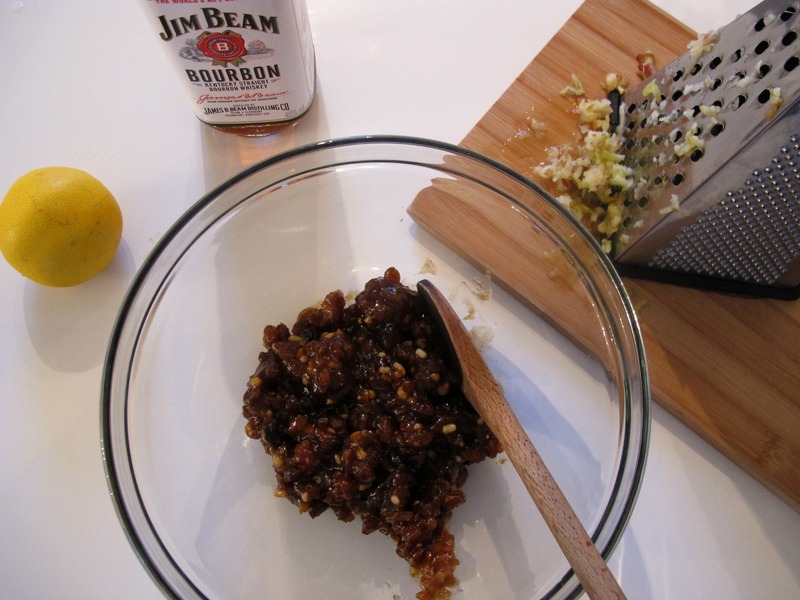 Scoop the jar of mincemeat into a large bowl and stir in the grated apple, bourbon and lemon. 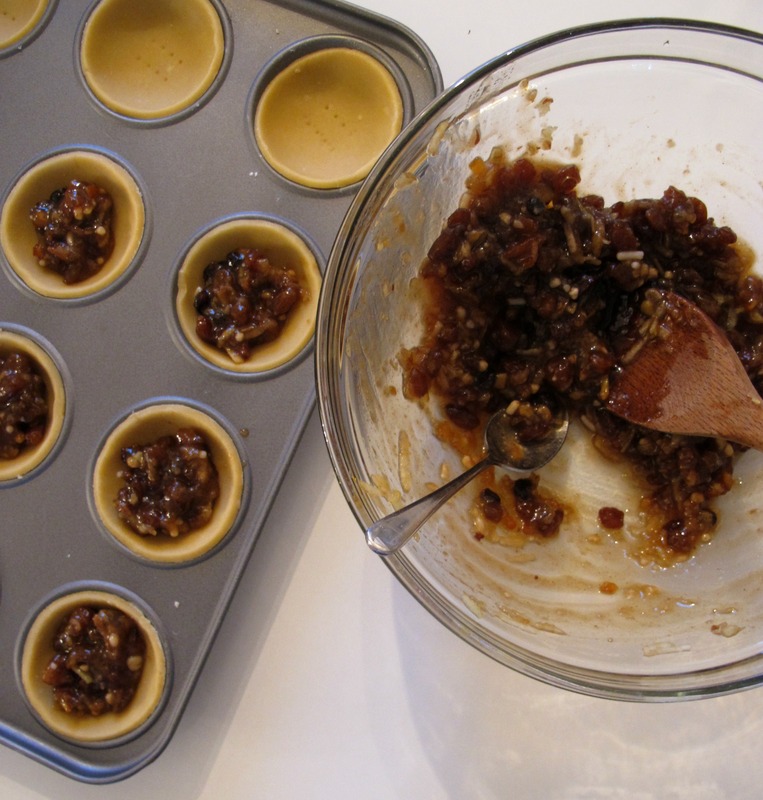 Remove the tray from the fridge and place teaspoons of the mincemeat in each pastry case. 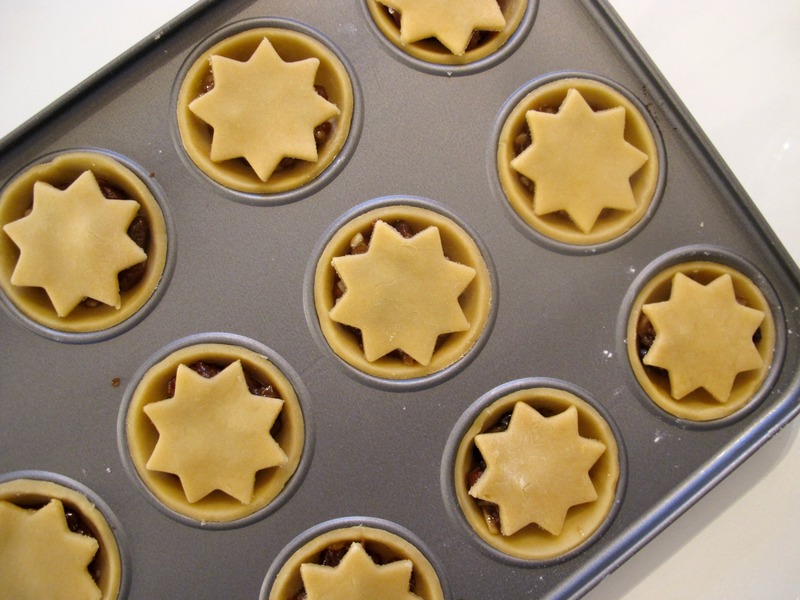 Roll out the second half of the pastry and cut stars for the tops, pressing firmly on top of each pie. Bake in the oven for 20 minutes then remove and wait for the mincemeat to stop bubbling before scooping each pie out using a teaspoon and leaving to cool on a wire rack. 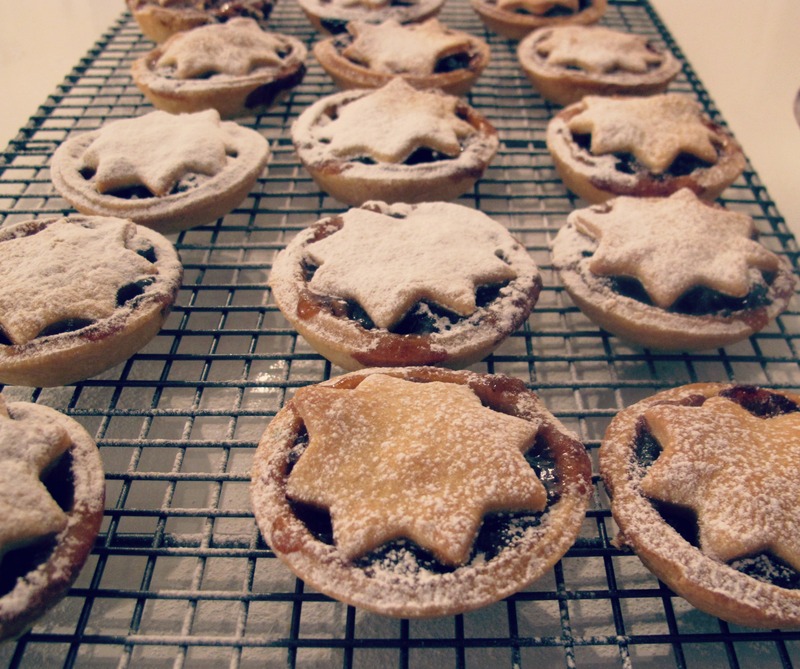 You will have pastry and mincemeat left over at this point, so repeat the steps until it is all used up – I managed a further seven mince pies. Dust the mince pies liberally with icing sugar and serve warm.